First flight was an absolute dream. 5 mins of smooth as glass flying. She proved to be a maneuverable girl but no combat aerobatics for a first flight. Second flight, just a enjoyable as the first, one of the instructors even had a go and liked it. 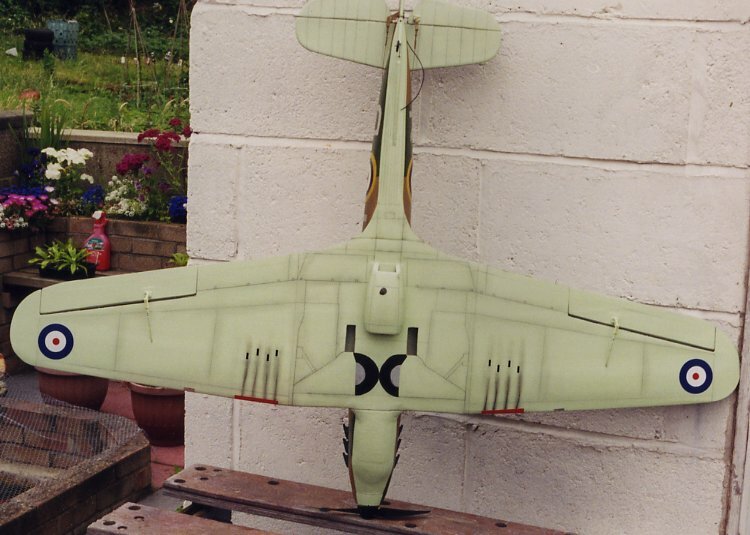 no elevator, aileron, rudder or motor control and she continued in a shallow dive right into the deck. proved herself so anything else was a bonus. for years and some that never even completed a first flight. had wiped out completely on it's maiden flight. Chance you take, end of story.